Cold Cream has been around for centuries. For millennia, Cold Cream was the only facial product that existed. Those of us of a certain age will have fond memories of being tucked up by mothers with faces thick with white cream. Used to clean the face of make up, and other residues, and then reapplied before retiring; cold cream is a cleanser, moisturiser, anti-aging nutrient and protector all in one. Sadly the big companies ruined the reputation of cold cream when they replaced its natural ingredients with horrible mineral oils. 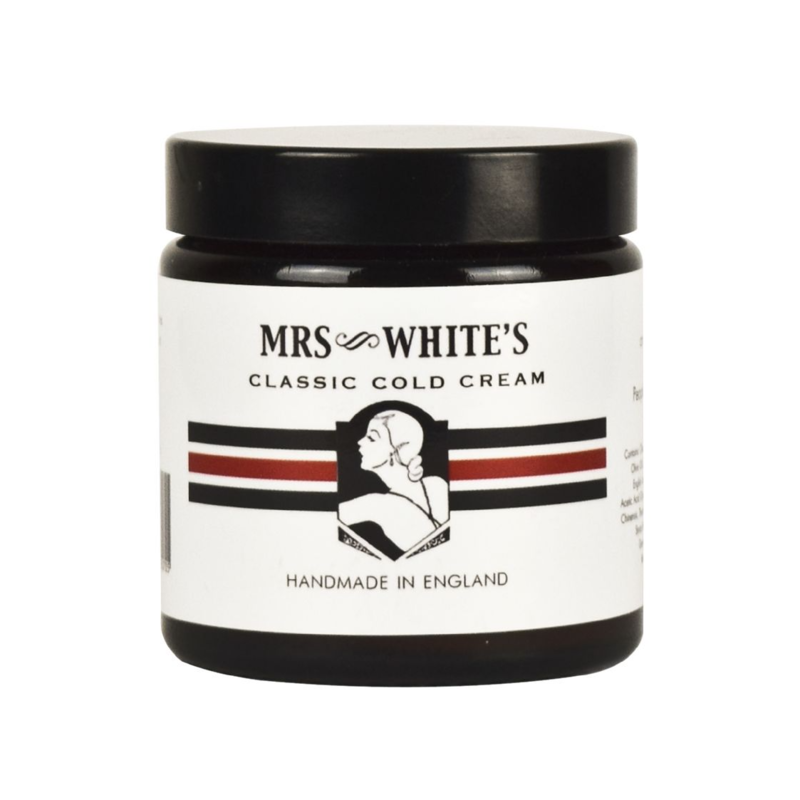 Mrs White’s Classic Cold Cream is true to the original recipe first invented by Galen, physician to 5 Roman Emperors around 150 AD. Nourishing British beeswax is blended with olive oil; the inclusion of organic cider vinegar renders the cream the same PH as skin, making it more easily absorbed and restoring the skin’s acidic mantle. The inclusion of Rose Absolute helps remove blemishes and keeps the skin young looking. 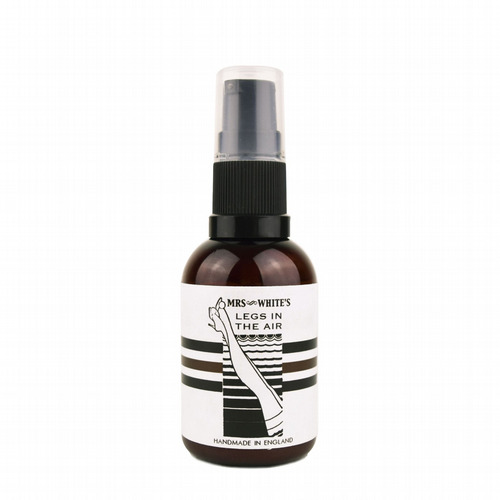 A protective barrier locks in the skin's natural moisture preventing it from drying out over night, vital in the war against wrinkles with today's central heating and air conditioning. Tested on Mr White, never on animals! Use nightly to remove make-up and then reapply before going to bed. Contains: Olea Europaea Fruit Oil (Organic Extra virgin Olive Oil), Aqua (Bulgarian Rosewater and Organic English Lavender Water), Prunus Amygdalus Dulcis, Acetic acid (Organic English Cider Vinegar), Simmondsia Chinensis, Theobroma Cacao, Cera Alba, Xanthan Gum, Styrax benzoin, Pogostemon Cablin, Pelargonium graveolens, Citrus Sinensis, Rosa Damascena.